Burgers are for lovers this Valentine’s Day at Sickies Garage Burgers & Brews! Save when two guests dine from our Valentine’s Day Sweetheart Menu. 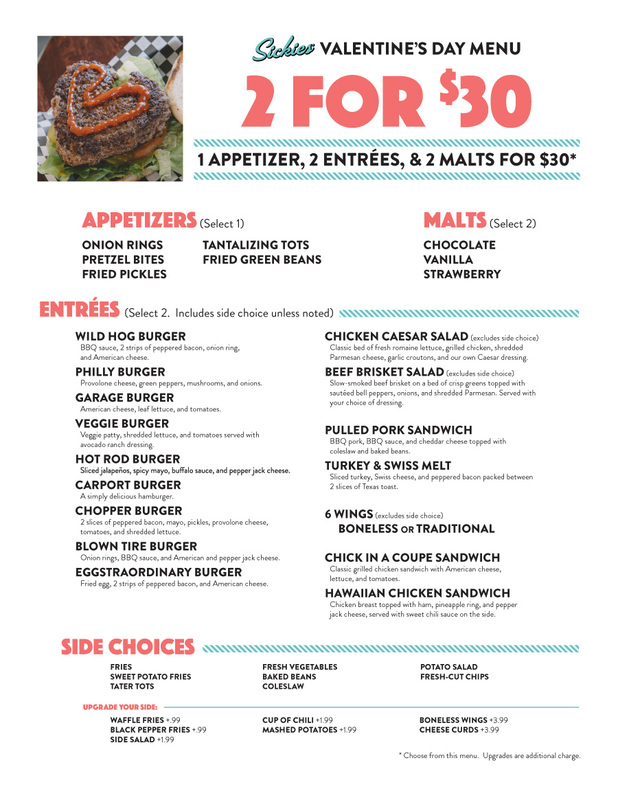 Choose an appetizer to share, two entree choices, and two malts – all for only $30. Rewards members earn double points on all purchase – Thursday, February 14, 2019. Menu available at all Sickies Garage Burgers & Brews locations on February 14, 2019. Please see store for additional information.